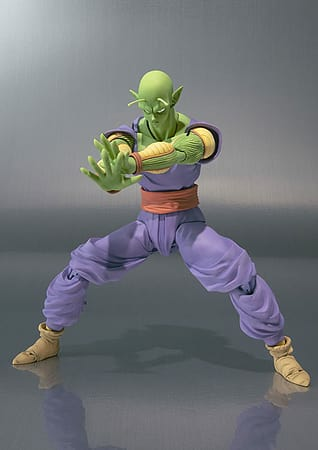 Bandai have issued a new version of their popular S.H.Figuarts Piccolo figure! This version features Piccolo in his usual Namekian costume. 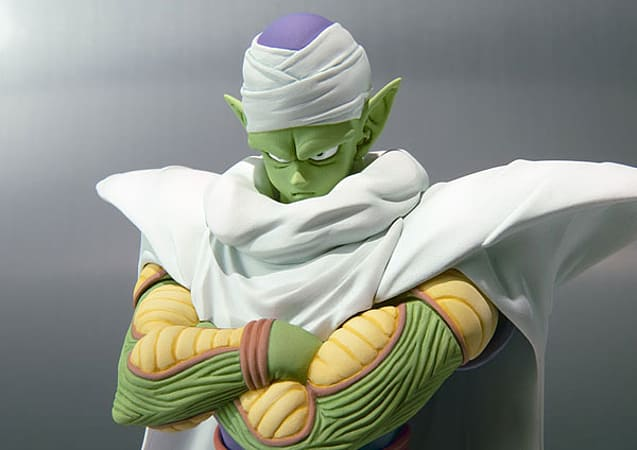 Bandai have issued a new version of their popular S.H.Figuarts Piccolo figure! This version features Piccolo in his usual Namekian costume with removable top layer of clothing and headwear. Not only is this 15cm approx. action figure incredibly poseable and capable of recreating the infamous Special Beam Cannon pose, it's also accurately sculpted in sharp detail to its anime counterpart! Accessories include an interchangeable head and optional hands. Specifications: Pre-painted ABS / PVC articulated figure. Approx. height 150mm.